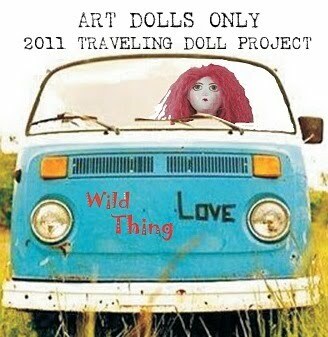 This year I'm going to be a part of the Traveling Art Doll Project with Art Dolls Only. It's kind of a round robin where each person works on the other team members dolls. There is also a journal that travels with the doll and each artist that works on the doll, journals about it. So when the event is over each participant has a lovely doll that has been created by several amazing artists. The team I'm working with is listed below. I'm totally excited to be working with such talented artists. Click on their names to visit their sites. I hope you'll follow along as our dolls travel the US. Now off to start my doll for the adventure!